SYDNEY — Coral bleached for two consecutive years at Australia’s Great Barrier Reef has "zero prospect" of recovery, scientists warned on Monday, as they confirmed the site has again been hit by warming sea temperatures. 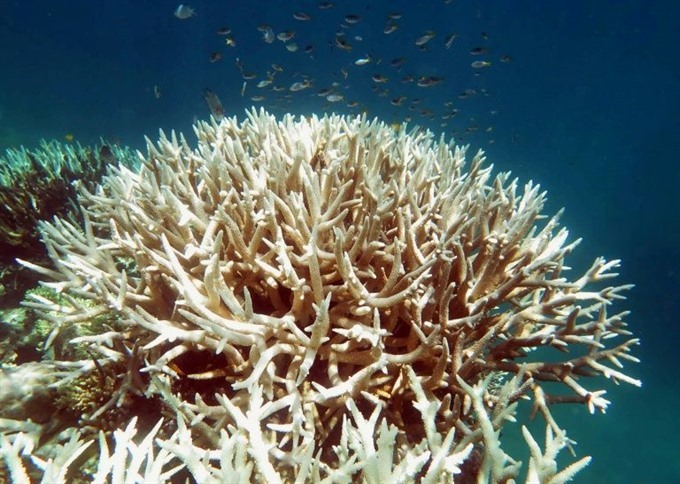 It is the fourth time coral bleaching -- where stressed corals expel the algae that live in their tissue and provide them with food -- has hit the reef after previous events in 1998 and 2002. "The feedback that’s coming back is the more sheltered areas have come out a bit better, but they all seem to have suffered some form of damage," Association of Marine Park Tourism Operators’ Brendon Robinson told the Australian Broadcasting Corporation. The Whitsundays is one of the reef’s tourist hotspots, attracting more than 40 per cent of total visitors to the iconic marine ecosystem.